The A1 is every inch a Profoto light – just smaller. 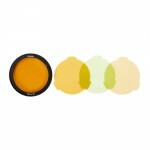 It's round head delivers light that’s both natural and beautiful with a soft smooth fall-off. It is incredibly easy to use, with superfast recycling and long-lasting battery, so you'll never miss a shot. On the move, shooting on-camera or off, this is light shaping excellence everywhere. 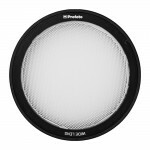 A Profoto Soft Bounce for A1 Flash is included in this kit. 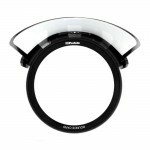 The Profoto A1 AirTTL Nikon Social Soft Kit includes a Profoto A1 AirTTL Light for Nikon and a Profoto A1 Soft Bounce. The Profoto A1 is designed with light shaping capabilities; it has a unique round head with a soft smooth fall-off that makes it easy to create a natural and beautiful light. It also includes a smart magnetic mount and three dedicated A1 Light Shaping tools that click on and off quickly and easily. They can also be stacked for more creative options. The A1 also offers a built-in LED modelling light that makes it easy to set the light and understand how light and shadows work together. It is extremely easy to use. The user interface is large, clean and clear. Like all Profoto products, it's intuitive to use and you don’t need to read a long instruction manual to understand how it works. Air TTL remote is also built into the A1. With AirTTL and HSS you can create professional results fast and easy and with the remote you can seamlessly connect to other Profoto flashes and control them easily from the A1. Profoto A1 is not only an on-camera flash, it is also very effective off-camera as a standalone unit. The A1 has its own Li-Ion high capacity battery built0in that lasts up to four times longer than AA batteries with no performances fade, and a facility to recharge quickly. So, you can shoot for longer with confidence. A1 can keep up with you because it recycles four times faster than other on-camera solutions – that's 1.2s at full power. Put simply, you'll never miss a shot! Easily click onto the flash head's magnetic mount, the Soft Bounce for A1 Flash from Profoto is used with the flash head pointed straight up so that light fills the white interior of the scoop-like modifier widening the flash's coverage and significantly softening the quality of light. The Soft Bounce comes with a bag for storage and transport.